Sustainable development is a matter of life and death. That's the only conclusion that can be drawn from any examination of mortality trends from major disasters over the last twenty years. Or the events unfolding over the last week in Haiti where Hurricane Matthew has killed hundreds and devastated much of the country. The statistics published today in "Poverty & Death: Disaster Mortality 1996-2015" speak volumes about inequality and the disproportionate price that poor people living in low and middle income countries pay in terms of human suffering as a result of earthquakes and climate related hazards. 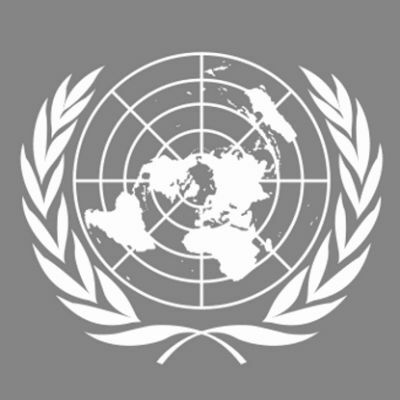 As the UN Secretary-General, Ban Ki-moon, remarks in his message for International Day for Disaster Reduction, the report amounts to "a damning indictment of inequality. High income countries suffer huge economic losses in disasters, but people in low income countries pay with their lives." In fact, 90% of the 1.35 million people who have died in earthquakes, floods, cyclones and heatwaves over the last twenty years come from low and middle-income countries. The growing burden on these countries from climate change and greenhouse gas emissions - to which they contribute little - is illustrated by the fact that in 15 of the last twenty years, most disaster mortality has been caused by climate-related disasters which are growing in intensity. It's all too easy for historic events to fade into the background but the megadisasters which killed over 100,000 each during the last 20 years are harbingers of events which have yet to happen and which will happen if we do not continue global efforts to eradicate poverty and achieve the other sustainable development goals outlined in the 2030 Development Agenda. Within weeks of the Indian Ocean Tsunami claiming almost 230,000 lives in December 2004, the realization had dawned that this was truly a global disaster leaving millions bereaved and homeless in the countries that border that vast ocean along with the families of the thousands of tourists who died because they happened to be in the wrong place at the wrong time. 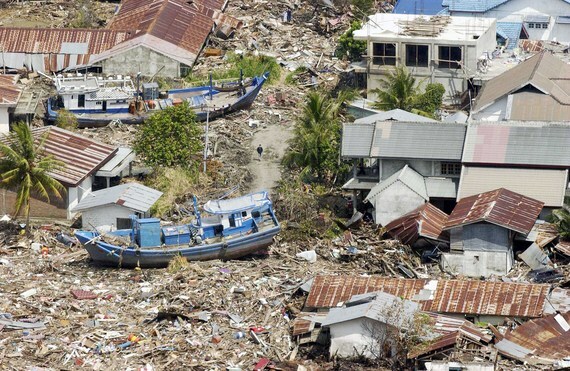 The wrong place means a place where exposure to a disaster is exacerbated by poverty, lack of early warning systems and safe, accessible emergency shelters, poor risk governance and an absence of the civil protection mechanisms that are taken for granted in high-income countries. There are a number of stark examples in this report which is a collaboration between the UN Office for Disaster Risk Reduction and the Centre for Research on the Epidemiology of Disasters (CRED). In the Haitian earthquake of January 10, 230,000 people died but in that same year equally violent earthquakes claimed much fewer casualties in Chile and no fatalities in New Zealand. Cyclone Nargis which hit Myanmar in 2008 resulted in 138,000 deaths in a remote coastal region, ill-prepared for such a forceful event. Contrast that with the zero casualties achieved by Australia when a Category 5 Cyclone, Yasi, slammed into Queensland in 2010 causing huge economic losses but no loss of life. Another megadisaster is occurring now almost by stealth thanks to climate change. Earthquakes may still dominate the headlines and but weather and climate related disasters are taking a toll on mortality which it is difficult to calculate because of under-reporting in low income countries particularly on mortality linked to droughts and heatwaves. The evidence is mounting that 2016 will replace 2015 as the hottest year on record and the upward climb in global temperatures is only worsening the challenges facing low and middle income countries trying to implement the global plan for reducing mortality and disaster losses, the Sendai Framework for Disaster Risk Reduction 2015/2030, adopted by all UN member States in March 2015. Action on climate change is inextricably linked to disaster risk reduction and it cannot come soon enough.